Ron and Maggie Tear Photography: Winged clouds. 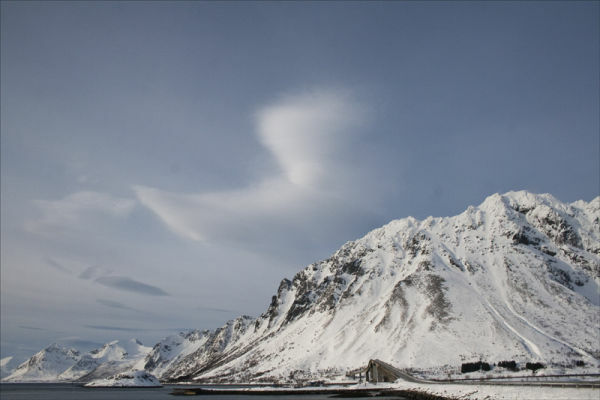 Fascinating cloud patterns revealed themselves in the Lofoten. Iwas memerised by the variety of cloudscapes adding to the rugged landscape. Here clouds resembling a bird in flight fired my imagination. Gimsoy bridge, Lofoten islands, Norway, Europe.